Have I mentioned how busy the beginning of school has been for my family? I know you are all probably thinking I am overreacting, but it has been a serious adjustment. Because of our schedules, I only have about 2 hours of quality time with my son and daughter a night. During this time we have to eat dinner, take a bath, get ready for bed, and have a few minutes to play together. Keeping the house in order is one of the last things that I want to do. I have constantly been looking for ways to simplify our life so that I can spend this time with my family without worrying about household chores. One of the household chores that has already been simplified is tackling the ever growing pile of laundry! I forgot how much laundry a little baby creates. My Whirlpool Duets keep my laundry pile manageable. The extra large drum lets me pile in the baby clothes, and I know they will be clean even if I miss a stain. The deep clean setting keeps all of my kids’ clothes looking nice! The washer even has an Allergen setting that is very useful when I am washing my dog’s bed. My favorite time saving feature has to be the precision dispense where I can load up the machine with detergent and it will dispense the perfect amount every time. Now all I have to do it load up the washer and turn it on, its that easy! My favorite appliance in my house is my Duet Dryer. My prior dryer took about three cycles to fully dry all of the clothes. I kid you not when I say that my duet can do a full load in 28 minutes! 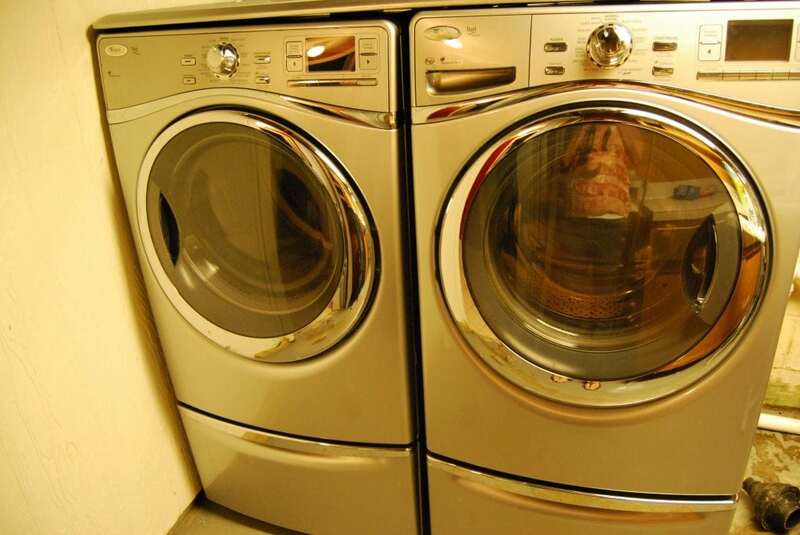 It has a sensor that senses how much clothes are in the drum and will adjust the drying time accordingly. 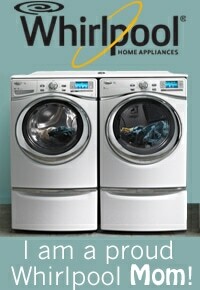 I have saved a lot of time and money thanks to Whirlpool! My advice to busy moms, create a list of small household chores to do throughout the week and tackle the bigger jobs on the weekend. That way you can spend quality time with your kids when they are home from school. Doing the small things during the week keeps our house tidy and makes the big jobs seem not as hard! This past week I was featured on the Whirlpool Facebook page. 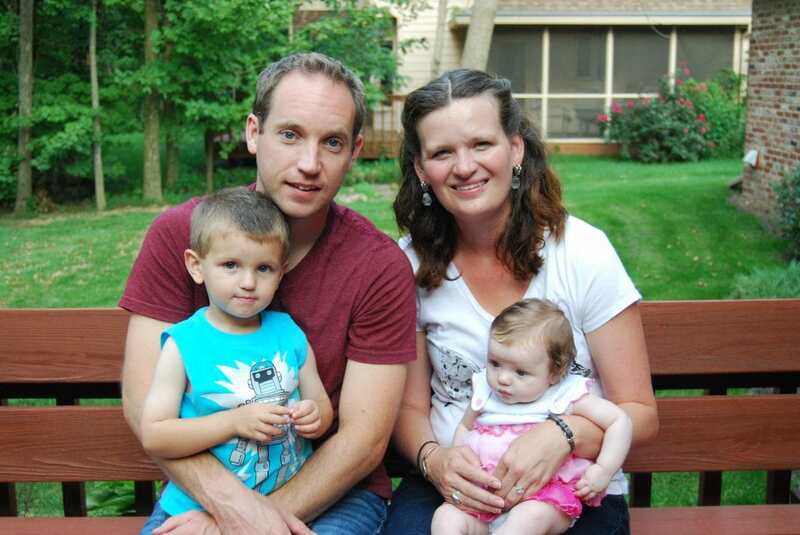 Be sure to visit and read more about my experience with my Whirlpool appliances! I wrote this review while participating in a blog tour by Mom Central Consulting on behalf of Whirlpool and received a promotional item to thank me for taking the time to participate. That is good advice! I try to handle small chores as they come up too. that automatic dispensing feature sounds amazing! Very cool – it’s a gorgeous set too! These are sweet. I especially love that it adjusts the detergent to match the load. I always use too much detergent. I love the idea of making chores easier! Great picture, great advice, and a great set of washer and dryers!